SouledOut.org's Meditation Focus for 2018 supports our ever greater awareness of the zodiacal energies of the Lighted Way as we continue to explore the theme, Cosmic Freedom Inaugurates Planetary Liberation. During the 2018 spring festival cycle, we attuned to the inflow of energies through the Spiritual Kingdom and aligned with this focus. Now, as the sun continues through the opposite region of the zodiac, we are endeavoring to assimilate the new energies and to integrate these into our service in the world. Throughout the current lunar cycle surrounding the full moon during Sagittarius, we ask all in our subjective group, according to your inspiration, to utilize the materials presented here as seeds for the daily meditation ritual. With the cycle's new moon, we begin to share on WeCycle Wisdom our suggested Sagittarius focus for contemplation over the month ahead. Our meditation alignment for the cycle explores Freedom and Liberation, as pertains to Sagittarius and its one-pointed direction towards Spirit. This month surrounding the full moon in Sagittarius follows the burning ground of Scorpio. Having dispelled illusions, we're now poised to pursue Divine direction. The Light of Sagittarius illumines our path as we prepare to climb the mountaintop in Capricorn. As aspirants and disciples, in present time we consciously realign with the Divine Plan ~ the unfolding Purpose of the One Life. In the spirit of sacrifice, we offer our very highest self to our service in the world. Through our alignment with the Principle of Decision, we now become ever steadier in our service expression. 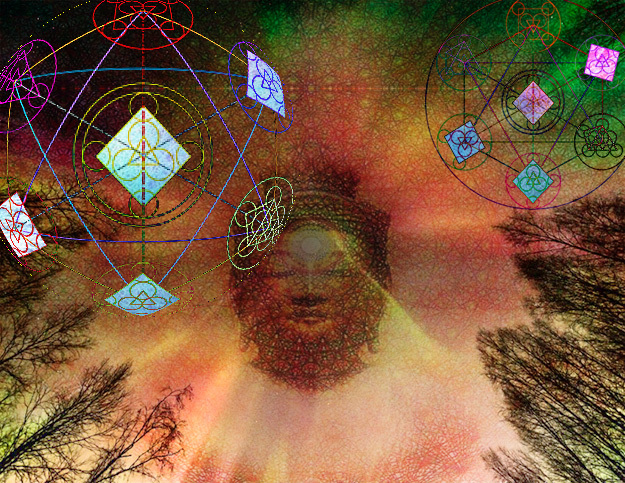 Annually, we prepare to align with the cycle's planetary hierarchical meditation beginning each year at the December Solstice, in preparation for the outpouring of spiritual energies at the upcoming Wesak event. The March equinox initiated our journey for the spiritual year, as we share now in yet a higher alignment to Purpose for our service for the annual cycle. The Cosmic Path we may consider in relation to Sagittarius is Path III, the Path of Training for Planetary Logoi. The revealed quality of Synthesis relates largely to the Life aspect, that which enlivens all forms. Synthesis is. (4) This is so, according to the Essential Divinity of all life. Recognizing this truth, we are called to surrender ~ to be the Divine Path through the sacrifice of all that is extraneous. Becoming the Path itself refers to our construction of the connecting channel between the outer, concrete world and the inner planes of the abstract ideal (5), linking us to the larger, cosmic perspective. This is an outgrowth of the ongoing sacrifice we make in service to the One. In contemplation of the Light of Sagittarius, we are called to rise ever higher to the opportunity of the upcoming December Solstice, aligning our service in the world. It is by way of the battlefield of Scorpio that we are transmuted and now may become single-minded in service to the One Life. While we observe the seemingly chaotic world events and through detachment, consider them as manifestation of the evolving Plan of God, we may similarly contemplate our personality issues, daily struggles and the times where our aim goes askew and gain a sense of perspective in light of our spiritual goal of achieving the greatest good, on behalf of All-that-Is. is 10 minutes, followed by a musical interlude, ending with The Great Invocation. We now link up with people of goodwill everywhere, as part of the united group channel through which the spiritual forces can become available. Affirming this channel, "We stand poised united as One Soul with our Spiritual Hierarchy." We hold the focus. 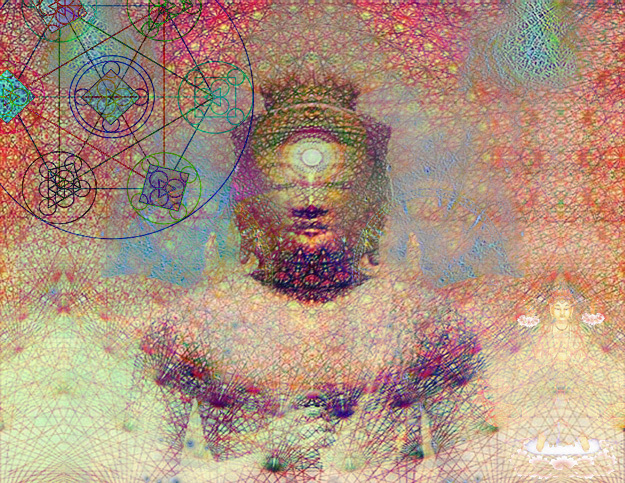 We visualize and become the Chalice we have together created, as a grid of light all over the earth connecting the light of every lightworker and each sacred energy vortex. This network serves as a conduit through which the heavenly blessings may flow through every one of us and to the planet Earth. United, we rise to meet the light. Our combined, directed thought is clearly focused and in response, the great gateway that is Sagittarius opens wide. We are bathed in Divine light. The energy of Sagittarius marks another point of balance on the great wheel of life. For we, as world servers, must be poised and balanced to find our direction true. The clouds of unfocused and selfish thoughts are parted and we are further freed from illusion. We continue our Spiritual journey with clear vision and new insight. We practice the right use of thought, putting an end to all tendencies to use thought destructively. We restrain any selfish use of speech, resulting in the beautiful, newly found way of harmlessness. This opens the path to our liberation, and an even greater Unity. We see before us a path of light. The path leads to a center of light ~ in this place and space we sense our identification with the Divine Plan and Purpose. We experience ... fusion ... synthesis ... at-one-ment. The greatest good for the whole is our goal. Gone are me or you. We are the way true. The Seven Cosmic Paths "This subject is considered ... to be devoid of form and therefore incognisable to the lower concrete mind." (14) Hence it is through the practice of Living the Radiant Life that we may begin to understand the nature of Spirit, for to bring Spirit fully into our daily lives is service to the One. Lunar Theme: Karma & a New Birth in Consciousness "This November 7, 2018 New Moon conjoins Zubenelgenubi, which is the southern scale of our modern constellation Libra — the scales of justice. The northern scale [is] Zubeneschamali ... These two stars are also the "Chelae of the Scorpion" ... Ophiuchus standing over the Scorpion holding the Serpent reaching for the Northern Crown, ... lies north over the Chelae ... Zubenelgenubi, the southern claw, is the karmic seat ... results of our past experience and patterns of growth ... Zubeneschamali, the northern claw, exemplifies our future path of experience and growth ... to do it differently—to grow and change ... Venus and Haumea begin their conjunction [11/10] ... and support a new birth in consciousness ... Venus completes her retrograde ... conjoining Haumea [11/16] ... Mercury begins its retrograde [11/10-12/6] ... over the head of the Scorpion and under the right foot of Ophiuchus ... " (retrograde videos online) - Nick Fiorenza gives insights to this lunar cycle, which begins November 7, 8:02 am PST and ends December 6, 11:20 pm PST. Mercury join in adding their evolutionary influences. Solar bathe in this medicinal elixir of energies! also known as Pegasus, "The Doorway to Paradise." Additional links These readings may be of assistance in your Sagittarius meditation focus. If possible, we suggest being in meditation at the exact time of the full moon. For this meditation, and as each is able to join the world group at the time of the full moon (Thursday, November 22 at 9:39 pm PST / Friday, November 23 at 07:39 UT), it's suggested to begin meditating earlier so to be in deep meditation at the exact time, and then continue for as long as you feel compelled. We now continue to hold the high space throughout this most auspicious day of the full moon, an important time to still the mind and maintain inner peace, a time of spiritual retreat and contact. If you wish, feel free to continue use of this meditation for the entire month of Sagittarius. From new moon to new moon, Thursday, November 8 through Friday, December 7, 2018. One with The Divine When the Planetary Logos connects with the Solar Logos, Shamballa ~ or the Will of God ~ is their point of union. (19) We are called to connect there with Them, and in this way to embrace the Plan of Love and Light. The Fact of the Path to God "All paths lead to the same place," it is said. Indeed, that we are able to access this course is a key to our redemption out of matter in our inevitable return to Spirit. Transformation~Pluto Following Pluto's transit through the constellation Scorpio, Pluto now moves through the constellation Sagittarius and the sign Capricorn. The Lunar Messenger, Sagittarius Full Moon (PDF) Circle of Goodwill's commentary for the Sagittarius full moon, "Vistas of Wisdom 61: Guidance"
"Touching the Ground~Touching the Stars"
"The Journey's Beginning" and "To Be Born a Khampa"